White PL, et al. An analytical and clinical evaluation of the PathoNostics AsperGenius® Assay for detection of invasive aspergillosis and resistance to azole antifungal drugs when testing serum samples. J Clin Microbiol (2015): 2115-2121. Chong GL, et al. Direct detection of Aspergillus and azole resistance of Aspergillus fumigatus on bronchoalveolar lavage fluid. 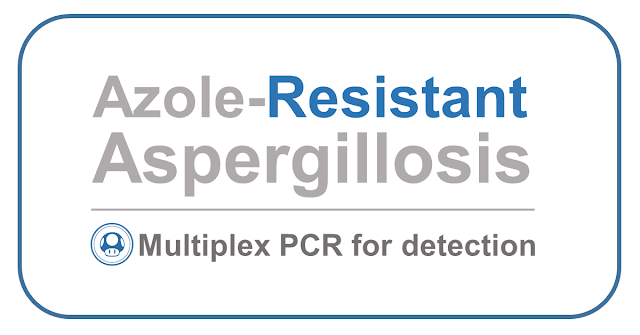 Validation of a new Aspergillus real-time PCR. J Clin Microbiol (2015): 868-874. Verweij PE, et al. Azole resistance in Aspergillus fumigatus: Can we retain the clinical use of mold-active antifungal azoles ? Clin Infect Dis (2015) Epub.